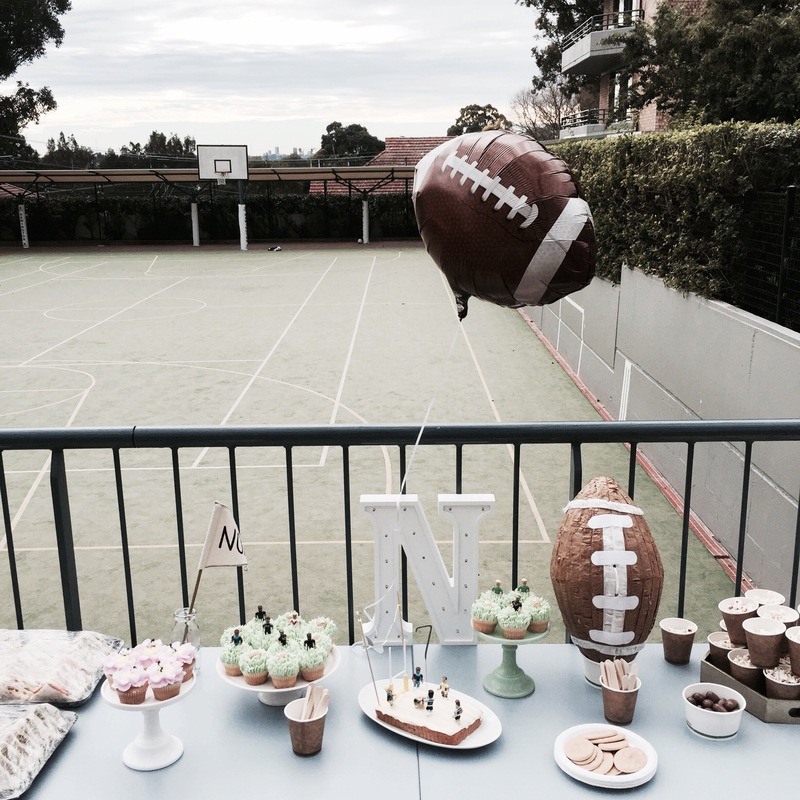 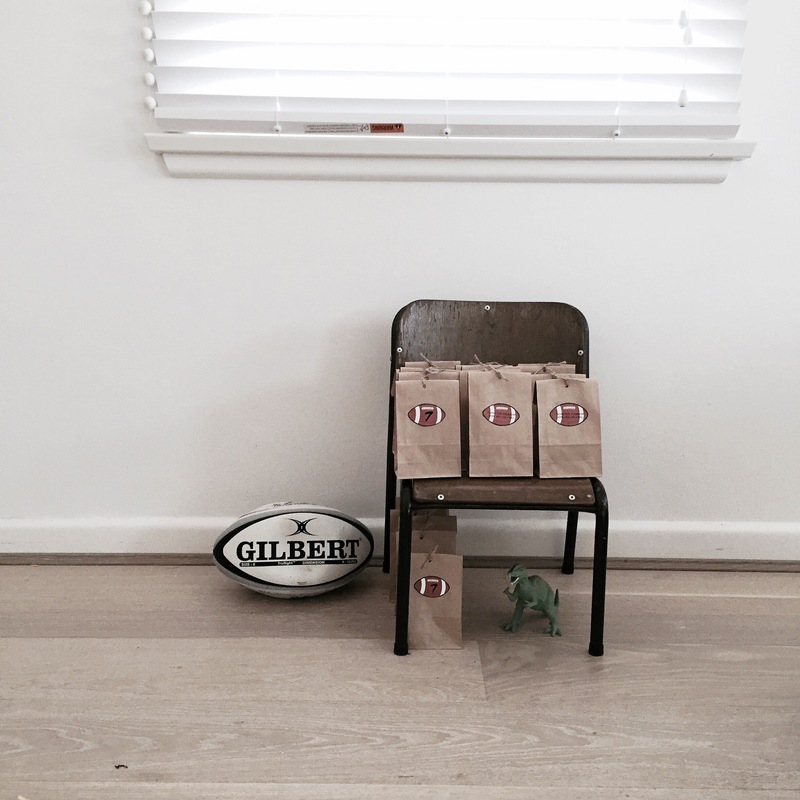 Some snaps of Noa’s Rugby/Sports party yesterday….A Beautiful Winters day for Sports games, cupcakes, Sausage sizzle and plenty of treats with his mates. 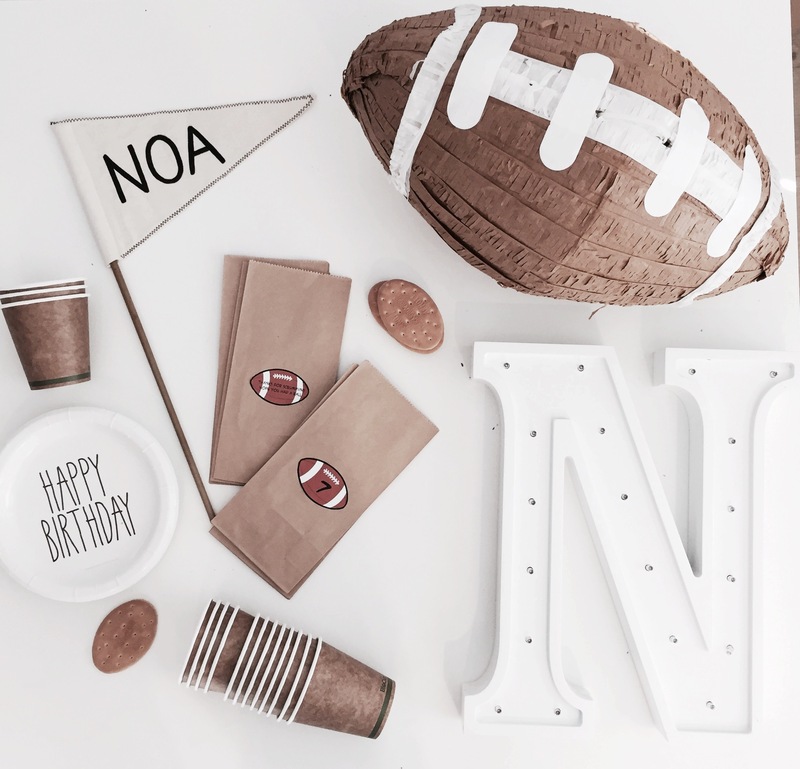 I Based the party around Kraft paper to match the colouring of a rugby ball and ordered Eco cups and bowls for popcorn and half time orange segments. 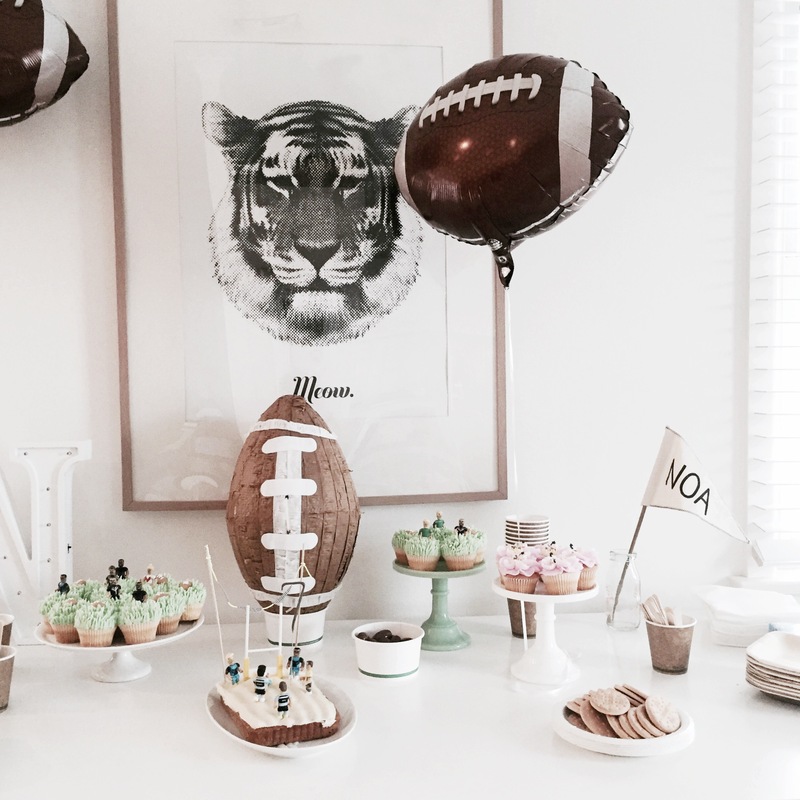 I used a rugby piñata for the table and a few balloons for decoration. 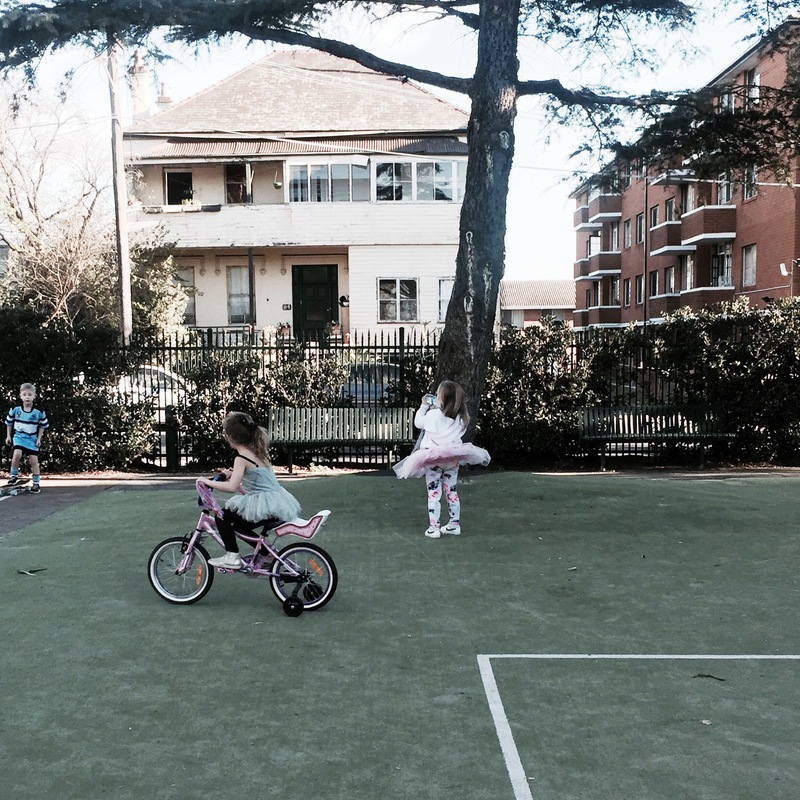 It was a pretty simple outdoor party with boys being boys and girls doing craft. 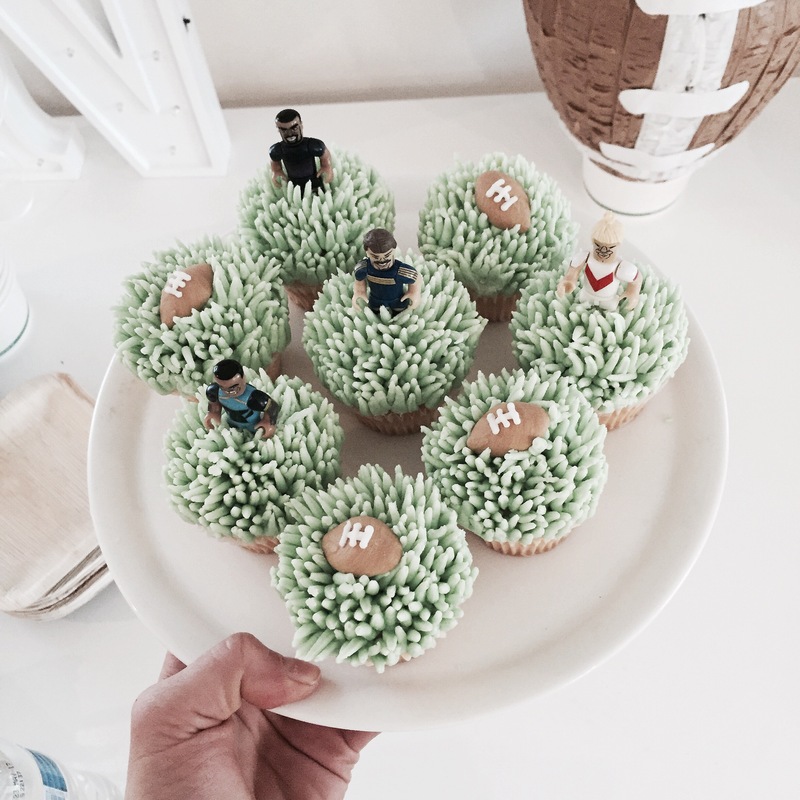 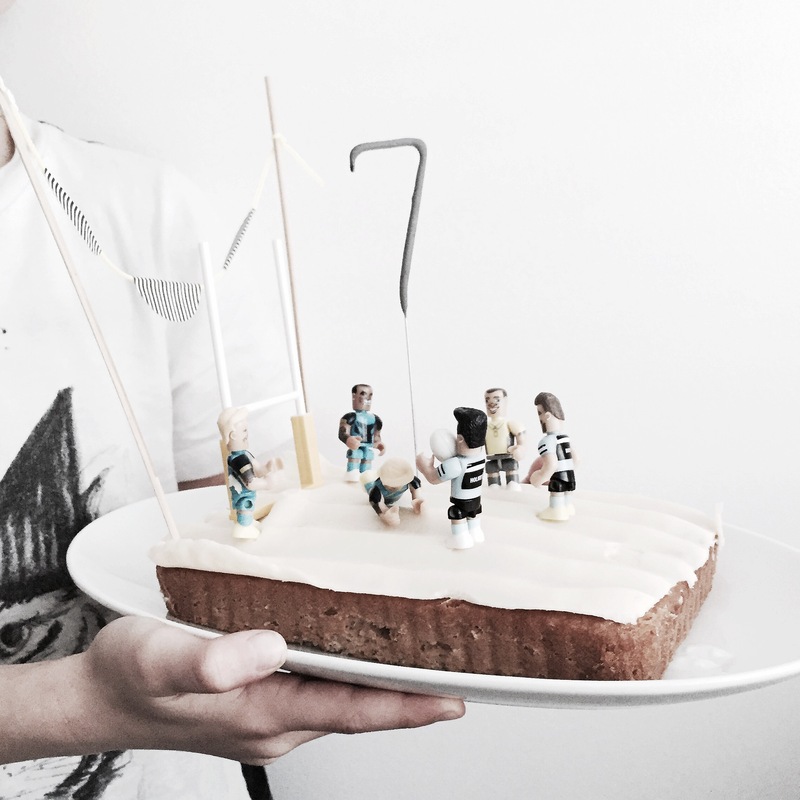 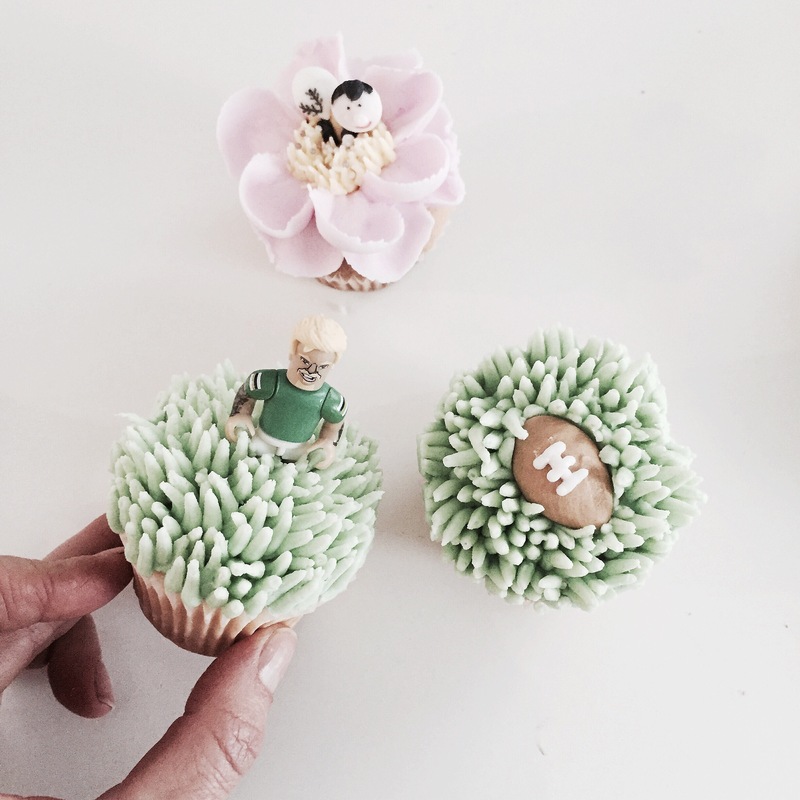 The grassy NRL cupcakes and little pink bee cakes were a hit plus a very simple Sarah Lee banana cake decorated with rugby figurines and goal posts. 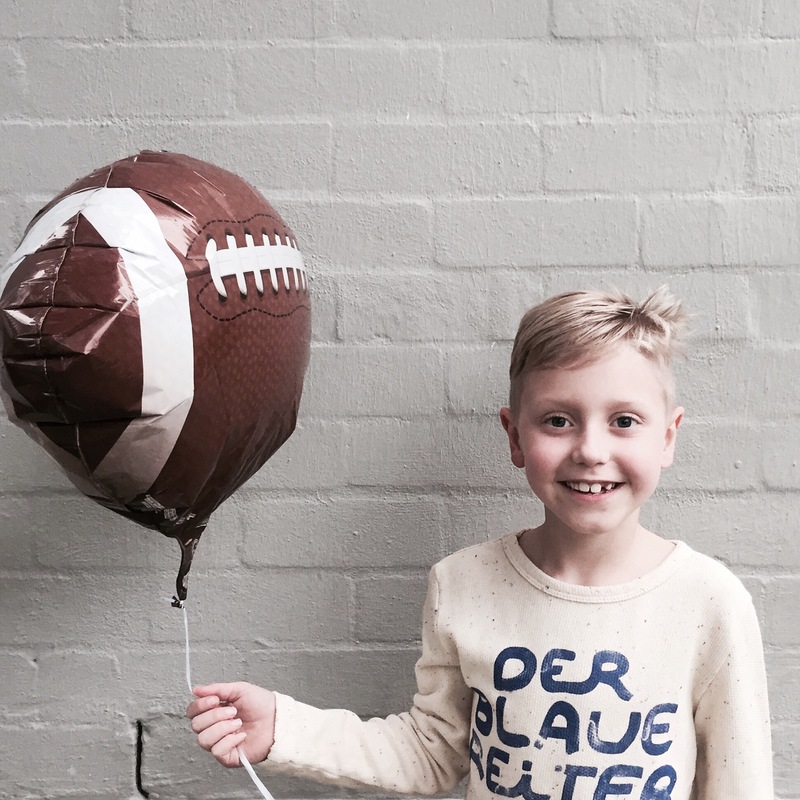 Everyone looked like they had fun and after whacking the piñata and singing happy bday, left with their Kraft paper party bag and likely passed out on their way home.